The CRF450RX offers total control and superb handling for the expert Enduro rider. Like its motocross cousin, the CRF450RX has been developed straight from AMA and European MX1 teams. The result is an improved power to weight ratio that makes the bike easier to ride over distance. It also comes with EMSB (Engine Mode Select Button) – three modes that you can adjust to suit the ride and the track. You’ll feel completely at one with the bike as it delivers high levels of feedback, stability and traction. 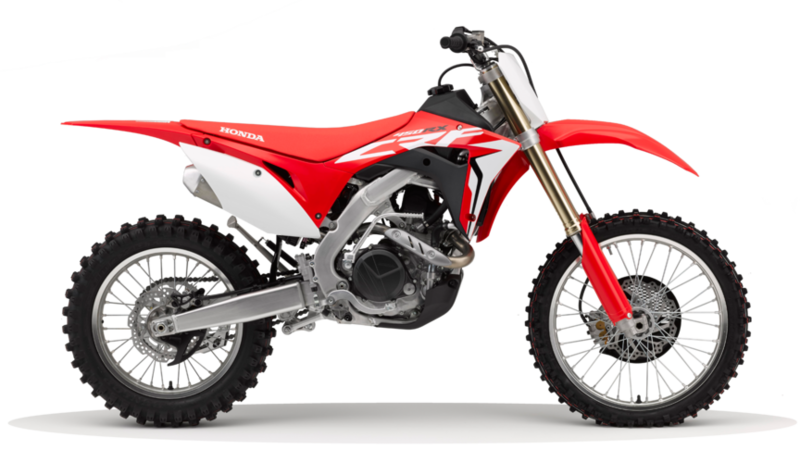 The CRF450RX offers all of the tough characteristics of the CRF450R, with three rider modes and larger fuel capacity for long distance Enduro racing. Comes with Digital CDI ignition and electric start.